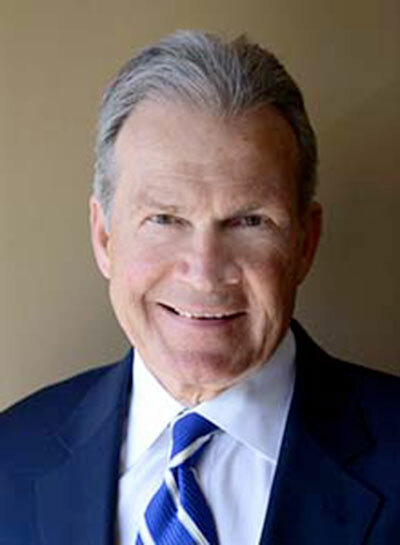 Ed Walsh is the founding (1980) member of Walsh, Knippen & Cetina, Chartered and a consumer advocate trial lawyer committed to securing justice and financial recovery for his clients. He has promoted justice by securing numerous multi-million dollar settlements and jury verdicts for his severely injured clients. In recognition of his successful representation of his clients over his 43 year Trial Lawyer career, the Law Bulletin Publishing Company and Jury Verdict Reporter awarded Ed the 2016 “Plaintiff Trial Lawyer Excellence Lifetime Achievement Award”. This coveted award is bestowed upon only one Plaintiff Trial Lawyer in the state of Illinois each year. Ed’s most significant accomplishments include a $10,080,000.00 jury verdict after the completion of a six (6) week medical malpractice/products liability trial in Chicago, a $7,287,083.00 medical malpractice jury verdict, the highest jury verdict on record in Illinois for facial disfigurement and, along with his partner, an $18,600,000 Circuit Court of Cook County settlement in a construction site brain injury case. Ed has secured the largest medical malpractice settlement, $5,735,000.00, in the history of the Circuit Court of Will County, Joliet, IL in a case involving catastrophic brain injury in a newborn infant. Ed has been recognized as an Illinois “Super Lawyer” for 13 straight years since the publishers of Law & Politics and Chicago magazines first recognized “Super Lawyers” in 2004 for his representation of seriously injured people and the loved ones of people who are negligently and wrongfully killed. He is also rated as a “Top Medical Malpractice Attorney” on AVVO and maintains the status of a “Leading Lawyer” in Illinois. He has also been named a “Top 100 Lawyer” by the National Trial Lawyers organization. Recognizing Ed as a true consumer advocate trial lawyer, the Law Bulletin Publishing Company/Chicago Daily Law Bulletin publication singled him out as being the only lawyer in Illinois to secure justice for his clients by achieving three (3) monetary settlements of one million dollars or more during a single year, in court jurisdictions outside of Cook County, Chicago, Illinois. By appointment of the Illinois Supreme Court, Ed serves as a member of the Supreme Court Rules Committee and the Supreme Court Commission on Professionalism. He is a past member and chairman of the Supreme Court Committee on Character and Fitness to Practice Law. 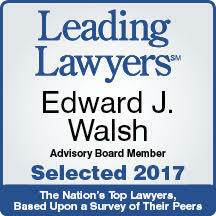 Ed is an elected member of the Board of Managers of the Illinois Trial Lawyers Association (ITLA). Ed is a frequent continuing legal education and professionalism speaker and has authored the chapter “The Empty Chair Defense and Respondents in Discovery” in the ITLA published Medical Malpractice Trial Notebooks for 2011-2017. Ed Walsh represents plaintiff clients with special emphasis in representing clients with serious personal injuries and complex damages as a result of medical malpractice, automobile and truck collisions, wrongful death, product liability and legal malpractice. Ed and his wife, Bobbi have four sons and five grandchildren. When he is not working for his clients, Ed enjoys endurance training, wilderness backpacking, fly-fishing, land stewardship and native plant and forestry restoration at his upper Mississippi River Valley farm. Ed also represents, pro bono, not for profit environmental organizations in southeast Minnesota. Loyola University Chicago School of Law, Chicago, Illinois, 1973, J.D.